Vitamins & MineralsNOW Foods Folic Acid Vit B12 - 250 tabl. 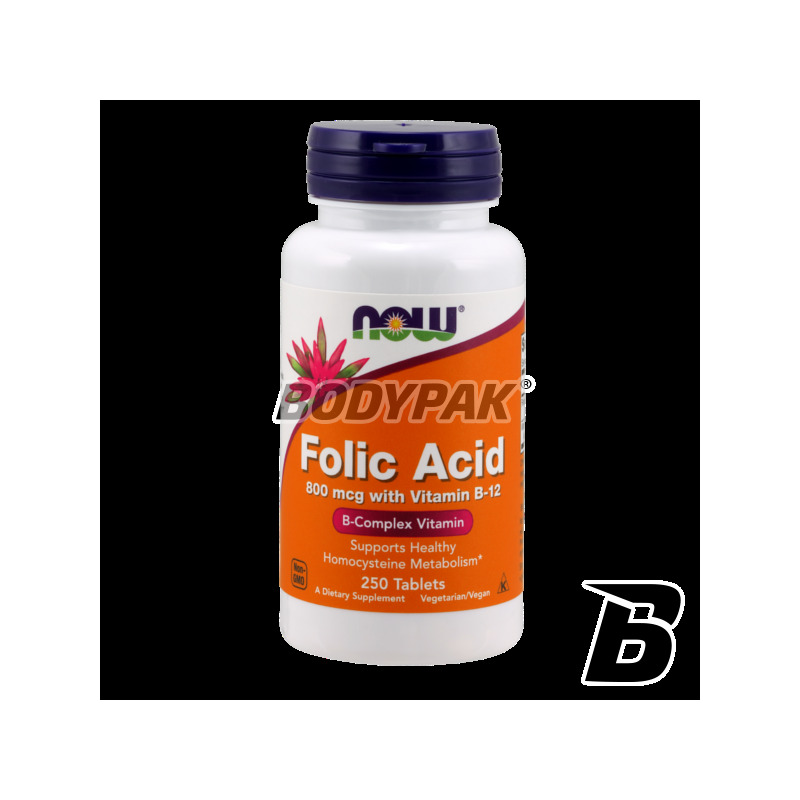 NOW Foods Folic Acid Vit B12 - 250 tabl. 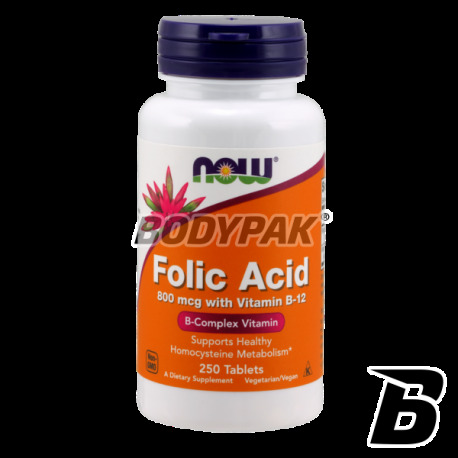 Folic acid is one of the B vitamins participates in numerous metabolic processes. Inadequate supply of vitamin B12 in the body, as well as vitamin C and zinc can lead to a poor absorption of folic acid in the cells. 25 loyalty points Your cart will total 25 points that can be converted into a voucher of 1,00 PLN. Folic acid is stored in the mitochondria and cytoplasm. Only in this way can perform its functions continuously. The main task of vitamin B12 is to maintain and strengthen the normal metabolism, immune function and cell division and the formation of red blood cells. Vitamin B12 as the only soluble in water can be stored in the long muscle and liver, it is therefore necessary to maintain the constant level in the body. UNS Magnesium - 30 tabl. High quality, each serving provides very well absorbed magnesium. The form of tablets guarantees not only the comfort of supplementation but also the free choice of dosage. It eliminates the problem of uncontrolled contractions, reduces fatigue and eliminates the effects of stress. NOW Foods Adam - 60 tabl. Profesjonalny preparat na bazie czystego cynku o bardzo dobrej przyswajalności! Jest to jeden z najważniejszych minerałów dla utrzymania pełnej homeostazy organizmu. Pomaga między innymi w prawidłowym metabolizmie węglowodanów, utrzymaniu funkcji poznawczych oraz uczestniczy w syntezie białek organizmu. Sięgnij po to, co najlepsze! Dietary supplement highly effective form of magnesium counterforce to muscle cramps. The highest quality form of chemical! Solgar Herbal Female Complex - 50 kaps. Swanson Vitamin D3 1000 IU - 60 kaps. The high concentration of vitamin D3, the intake has a beneficial effect on the skin, regulates blood sugar levels but also reduces inflammation! Quality guaranteed by the brand SWANSON! Trec 100% Vitamins & Minerals - 60 kaps.